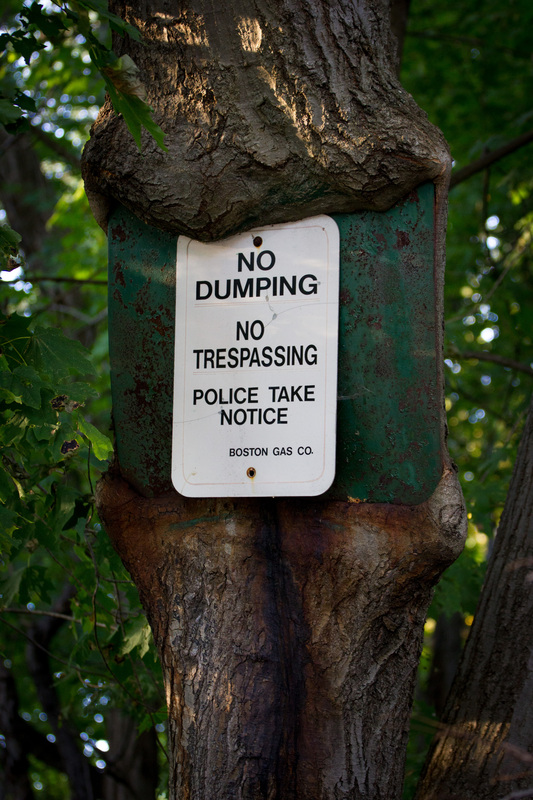 A new sign posted onto an old one—one that has been there so long that the tree it is posted on has started to engulf it. Ouch! Where’d that come from? Hi Margy, this is up on Mountain Ave. in a wooded area that I think is property owned by, or at least leased to, a utility company.